The outdoors is spectacular. And there’s a good chance you think so too, which is why you’re here. 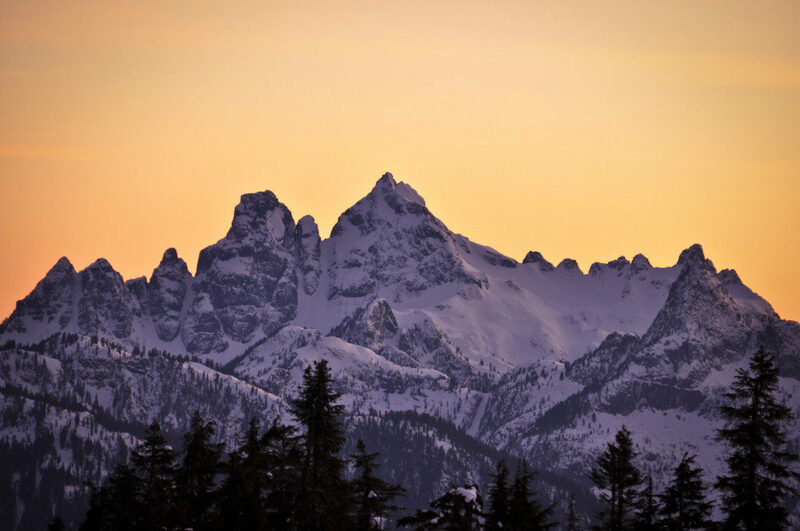 If you’re a seasoned or new outdoor user, have you ever reflected on what inspired you to spend time in the mountains? Think back to your first hike, or your first outdoor experience. How did it all start? What got you interested? What was your first stepping stone in learning to explore your backyard? Years ago, when I started to discover B.C.’s backcountry, two of the first things I did was create a Clubtread.com account and pick up a copy of the classic 103 Hikes book. Reading about trails and their surrounding areas, and looking at maps and statistics has been incredibly useful in gathering knowledge to fuel my mountain endeavors. There is now a variety of different ways to collect information on exploring our beautiful southwest coast, but, in my opinion, nothing beats a good book. In case you haven’t heard the buzz lately, there’s a new guidebook coming to town. I caught up with the author, Stephen Hui, to see what he has in store for both the new and seasoned generations of outdoor enthusiasts. 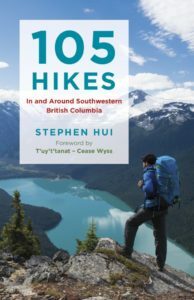 The book, 105 Hikes In and Around Southwestern British Columbia, will be releasing on May 26, 2018. Stephen Hui has been hiking, backpacking, and scrambling in B.C.’s Coast Mountains for 25 years. His outdoor writing and photography have appeared in the Georgia Straight, where he was the web editor and technology editor, as well as the Toronto Sun, Le Journal de Montréal, Vancouver is Awesome, and Burnaby Now. Born and raised in Vancouver, Hui works for an environmental organization and serves as the vice president of the Wanderung Outdoor Recreation Society. 105 Hikes In and Around Southwestern British Columbia is his first book. A: I’ve dreamed about writing this hiking guidebook since I was a teenager devouring the fourth edition of the 103 Hikes in Southwestern British Columbia like a novel. A few years ago, I made an outline for such a book, then shelved it. Serendipitously, Greystone Books [the publisher of 105 Hikes] came calling, and I jumped at the opportunity. Q: Is 105 Hikes an extension or continuation of 103 Hikes? 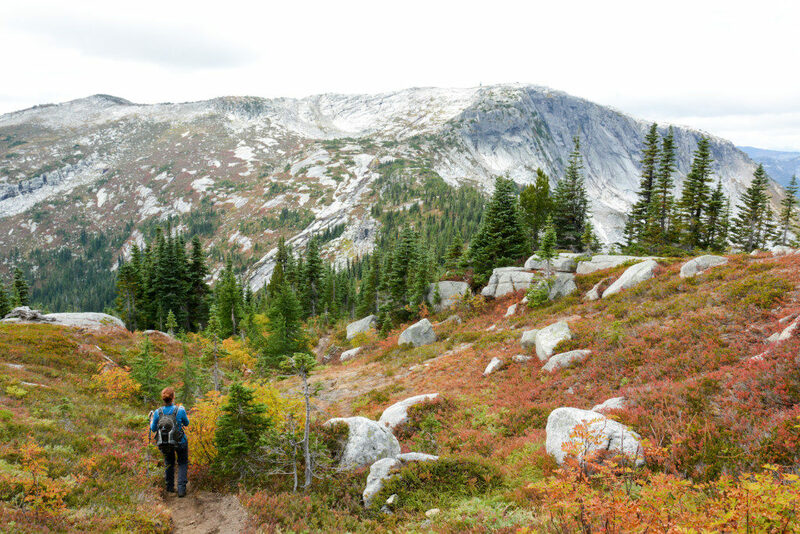 A: While 105 Hikes In and Around Southwestern British Columbia is a follow-up to 103 Hikes and uses a similar format, it’s not a new edition of the latter. It’s a completely new book. All the writing, photos, and maps are new. A: Officially, it’s been two years since I began working on the book. The actual writing took eight (painful) months or so. The biggest chunk got done during a one-month leave of absence from work. Q: Can you describe your post-trip writing process? A: First, I would review the notes, photos, and GPS tracks I’d gathered in the field. Then I’d do further research on the context of the particular hike, So, there was lots of staring at the computer and paper maps. After much procrastination and snacking, I’d finally sit down and write the hike. I used stickers on a wall map to track my progress. A Wanderung hike on the Rainbow Madely Trail to Rainbow Lake and Hanging Lake in the Rainbow Mountain Wildland Area, Whistler, B.C. Photo: Stephen Hui. Q: As a Wanderung member myself, I noticed you organized a number of group trips over the last few years, were these with the intention of writing the book? A: Wanderung is a truly fantastic hiking community, and I’ve organized trips with the club for several years. Over the past two years, club trips did contribute a lot toward book research. I would have planned club trips regardless, but working on the book definitely influenced the destinations I chose. So, in various ways, a lot of Wanderungers helped me write this book. Q: Have you personally hiked each one of the 105 hikes in the book? A: Yes, and this may help explain why some hikes are in this edition and some are not. Q: Do you have a favorite trail, mountain, or area that you enjoy exploring locally? A: It’s always hard to pick just one. The Garibaldi Lake area is a long-time favorite. Q: How did you decide to include 105 hikes in your book, opposed to 104, or 106? A: That’s easy. My publisher picked the number, and I quickly came around to the idea of doing 105. Hike to The Flatiron, Coquihalla Summit Recreation Area, B.C. Photo: Stephen Hui. A: Of course, there are always other hikes I would’ve loved to feature – if I had more time or more pages. But I’m happy with the wide range of hikes I’ve included in the book. In a lot of ways, it’s aimed at a new generation of hikers, in addition to long-timers. Q: Will you be writing a revised edition in coming years? A: That’s the plan, but not for a few years at least. I’m sure it also depends on how sales of the book go. If demand for the first edition is high, there’s more impetus for a second. Q: Do you have plans to host an online area where readers can go for updated trail and/or access conditions for the hikes in your book? A: That’s 105Hikes.com. I’m considering having a single page on the site where I and readers can share trail and access updates. Other options are for me to post updates on the 105 Hikes blog or for all of us to do so via the Facebook page or group. However, I know hikers already have a variety of forums for sharing trail updates, so they might not be interested in checking for updates in yet another place. Q: What’s your favorite local or non-local guidebook? A: I have a bookshelf full of guidebooks – old and new. Some favorites: Matt Gunn’s Scrambles in Southwest British Columbia, Bruce Fairley’s A Guide to Climbing & Hiking in Southwestern British Columbia, Craig Romano’s books in the Day Hiking series, Maria Bremner’s Cape Scott and the North Coast Trail, Kathy and Craig Copeland’s Don’t Waste Your Time in the Canadian Rockies, and, of course, old editions of 103 Hikes. A Wanderung snowshoeing trip to Elfin Lakes on Paul Ridge in Garibaldi Provincial Park, B.C. Photo: Stephen Hui. Q: For someone who may be new to hiking, where would you recommend they start? A: Those new to hiking should start with shorter, easier trips on well-marked trails – and they shouldn’t hike alone. 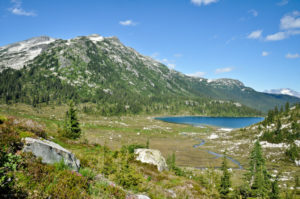 105 Hikes features a selection of these outings, such as Lynn Creek and Triangle Lake. Some longer hikes come with shorter options that are lower on the difficulty scale. Q: There have been many opposing thoughts and opinions around the idea of information sharing (read: Is Instagram Ruining the Great Outdoors?, Is Social Media Ruining Hiking in B.C. ?, The Great Beta-Share Debate, Don’t Blow Out the Spot, Social Media Isn’t Ruining Hiking). Did this affect or alter your decision on writing about lesser known areas? A: My aim is to write responsibly about the trails and routes I highlight. For example, if there are restrictions on dogs or camping, you’ll know it. However, I don’t think it’s my role to maintain the exclusivity of legal destinations for which there is already information available online – especially in the case of the main access routes for a given area. I do think it is important to encourage safe and environmentally responsible hiking practices. A: Garbage is an obvious problem. Pack it in, pack it out, please. That includes food scraps. Another concern I have is large groups, which are more likely to have a heavier impact on trails and the environment. Wilderness regulations south of the border limit groups to 12 people. I think that should be seen as a general rule for the backcountry. Then there’s the issue of noise pollution from drones and music without headphones. Don’t get me started on all the folks who ignore the regulations stipulating dogs must be on-leash – or, in some cases, no dogs at all – in provincial parks and other protected areas. That’s why I included a section on the outdoor ethics in the book. If you’d like to meet Stephen Hui, MEC Vancouver is hosting a book signing event on June 2nd. For more details check out the site: https://105hikes.com/2018/03/28/book-launch-mec-vancouver/. I’ve had the chance to connect with a few guidebook authors now, and the conversations we share always make me appreciate the time, effort, and amount of work that goes into their project. 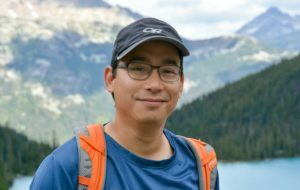 A big thank-you to Stephen Hui for taking the time to connect and sharing a bit about the upcoming guidebook, and for sharing his insight on hiking in and around southwestern B.C. I’m looking forward to picking up my copy and hitting the trails this summer! Thanks for the Q&A, Ashika! I hope you enjoy the book.